Camp Jabulani represents style, luxury, gastronomic excellence and warm hospitality. 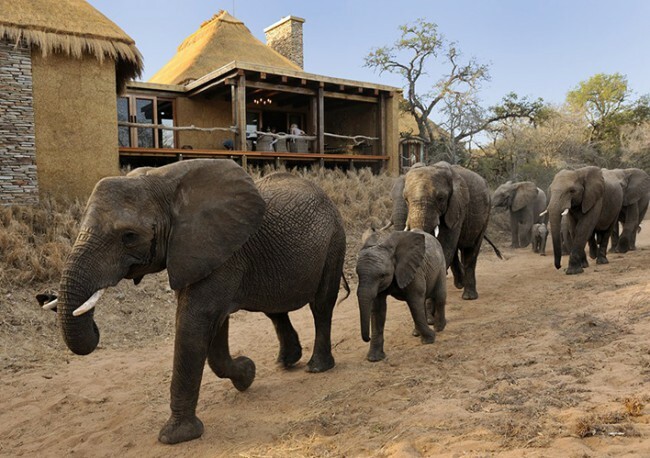 This camp was conceptualised to support and sustain 12 elephants who by the hand of fate had found themselves in the custody of wildlife visionary, Lente Roode (founder of the Hoedspruit Endangered Species Centre (HESC)). The intimate camp environment was designed open-plan to merge with the surrounding bush. Facilities include an open-air spa, lounge, diningroom and shaded wooden deck overlooking a dry river bed. Activities include daily elephant interations with expert grooms and handlers, game drives in open safari vehicles, visits to the HESC and simple relaxation around the camp or in the ‘Bush Spa’.